The Medical Team delivers an exceptional service where every patient’s wellbeing is the primary concern and no efforts are spared to make the patient physically comfortable, pain free and emotionally assured. Doctors, Nurses and Counsellors are the arteries and veins of the organisation. While they are guided and supervised by the CMO, they are the ones who visit patients every week, interact with them and their caregivers, plan and monitor the medical protocol, liaise with the patients’ GP, Oncologist/Radiologist and provide feedback to the CMO at the head office. Dr. P Jayarajan is the Chief Medical Officer (CMO) and assists the Founder Trustee, Mrs. Pheroza Bilimoria, to provide leadership to the organization. He heads the medical team and is its mentor and guide. With over 10 years of experience in palliative care, he is a treasure-trove of knowledge in this specialized and little-known field. Under the overall guidance of the Medical Advisory Board, and armed with valuable inputs from the Clinical Consultative Committee, he ensures the medical team adheres to the highest medical and ethical standards. He is a source of inspiration to his team and greatly loved by his patients and their families. Dr. Jayarajan has been in the field of Palliative care since April 2008, in Kerala, where he was head of the institution from 2009. 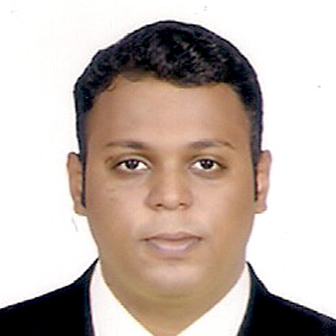 He has worked in some of the major hospitals in Kerala and has under his belt an M.B.B.S. (Bachelor of Medicine and Bachelor of Surgery) from Kasturba Medical College, Manipal, Karnataka; the six weeks training programme in palliative care – Basic Certificate Course in Pain and Palliative Medicine (BCCPM) – from Pallium India-Trivandrum Institute of Palliative Sciences; The National Fellowship in Palliative Medicine (NFPM) conducted by the Institute of Pain and Palliative Medicine with Christian Medical Association of India (CMAI); a two-year PG Diploma in Palliative medicine; a two year distance education programme conducted by Cardiff University, Wales in association with Karunashraya Hospice, Bangalore in 2015. Dr. Jain completed his MBBS in Kolhapur, Maharashtra, and has been practicing as a family physician since 1993. His work experience includes serving as a Chief Medical & Administrative Officer at Singhi Hospital in Mumbai and as a Medical Officer at the Rele Clinic, Diagnostic Center, in Mumbai. Dr. Jain has had extensive exposure to Intensive Care Unit procedures. He has completed the “Six-Week Intensive Diploma Course in Palliative Care” as well as a “Training Program for Doctors and Nurses on Children’s Palliative Care” conducted by the Tata Memorial Centre. To his work in palliative medicine, he brings an impeccable bedside manner, a strong sense of dedication and a warm sense of humor. With an M.B.B.S. and internship from prestigious R.G. Kar Medical College, Kolkata, Dr. Pal completed her CCDM specialty in Diabetes Mellitus. She brings with her over 13 years of diverse clinical experience in the field of medicine with a specialty in Diabetes Mellitus. She was associated with very well-known healthcare institutions based out of Chennai, Kolkata, and Mumbai. She also had her own private practice and was associated with many healthcare-related social activities. Devaunshi Sampat Mehta is PALCARE’s psychologist. She has been with PALCARE since its inception and is one of its pillars and a senior member of the team – always ready to help her colleagues and give her best to her patients. A Masters in Arts with a specialisation in Counselling from SNDT University, she has completed a training programme in counselling in palliative care at the Palliative Care Department in Tata Memorial Centre (TMC), Mumbai. She has been with the same department as an observer for 4 weeks. She has specialised in Cognitive Behaviour Therapy at the Beck Institute of Cognitive Therapy, Philadelphia. She has six years of working experience at Aangan Trust and MANAV Foundation as a psychologist. Having lived a peripatetic life, Elaine relocated from the USA and Canada to Mumbai, the city of her birth, to settle near family. Elaine has studied in the UK & US and holds a Master’s of Science degree in Microbiology. During her career, Elaine has worked in the areas of Oncology, HIV and Addiction. At PALCARE, she brings extensive experience in research and education. Zena Yarde is our team’s second psychologist. She completed her Masters in Psychology with a specialization in counseling from SNDT University and obtained her Bachelors of Arts degree from Sophia College in Mumbai. She has completed a training programme in advanced counselling through Xavier’s Institute of Advanced Counselling and has attended a two-day workshop in palliative care organised by the Cansupport foundation, New Delhi. Prior to joining PALCARE, Zena worked as a School Counselor at the Universal High in Malad, where she conducted individual sessions for students with academic difficulties and behavior problems. Dirk D’lima is our Head Nurse has been with PALCARE from inception and is highly knowledgeable and caring. He has over 3 months training at Tata Memorial Centre, Mumbai, as an observer and has completed the ‘Six Weeks Certificate Course in Palliative Care’ conducted by Tata Memorial Centre. He has a Diploma in General nursing and Midwifery (GNM). from Krupanidhi School of Nursing, Bangalore; a Post-Basic Bachelor in Nursing at Nightingale College of Nursing, Bangalore; and 2¼ years’ experience as Staff Nurse at Raheja Hospital, Mumbai. As in the case of Dirk, these nurses have been with PALCARE from the launch of the service. Priyanka Girkar, and Nilam Pawar have joined a little later. All our young nurses with PALCARE show tremendous dedication, compassion and commitment, winning over the hearts of patients and families. 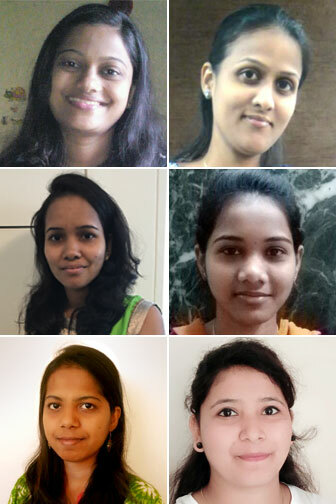 They have completed the ‘Six Weeks Certificate Course in Palliative Care’ conducted by Tata Memorial Centre. All of them also hold Diplomas in General nursing and Midwifery (GNM) and have now become experts in palliative care nursing. For the PALCARE medical team, whose primary job it is to take care of the physical and psycho-social needs of end-of-life patients, and is, therefore, exposed on a daily basis to suffering and, eventually death, it becomes crucial to undergo extensive Mental Health training. One such tool to de-stress, relax body & mind from the daily demands of work, as well as balance professional & personal lives is Body Movement Therapy (BMT) – a powerful tool to help participants explore themselves and enhance their mental health. PALCARE staff recently underwent an Arts-based and Movement Therapy Session with Ms. Gayatree Joshi, an expert in BMT, who conducted two sessions over a working Saturday. The first was designed to induce healing and empowerment through the power of movements; the second was to help staff undergo mindfulness and increase their understanding of the relationship between team, self, work and their professional vs. personal lives. Prior to and after the sessions, each staff member was individually interviewed by Gayatree to get a sense of where they were at, and thereafter to help staff make affirmations for their future lives. This was followed by a Hug Therapy Session after the interviews. PALCARE’s mission to provide a first-class service that emphasizes top quality care delivered by experts. The Advisory Board are doyens in this field. They guide the medical team at all times. At PALCARE there is no substitute for rigorous training and constant monitoring so that the best practices and treatments are presented. Training Programmes include in-house vigorous sessions, study tours, annual refresher courses, internal medical audits. Doctors, nurses and counsellors, are not just well versed and experienced in this field, but are benevolent and caring too. All these measures ensure the care is in line with best elsewhere in the world.